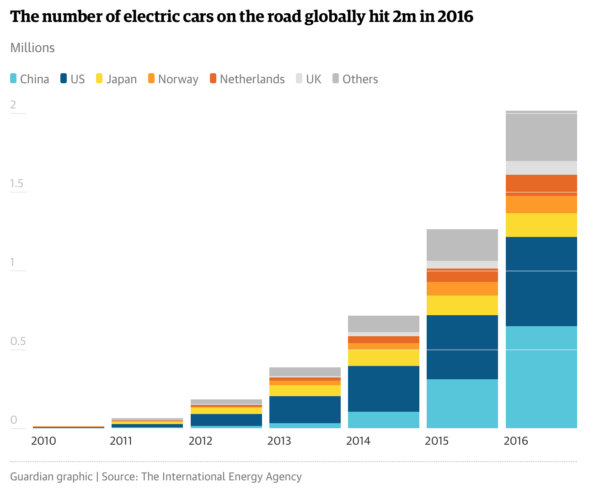 Electric vehicles are still, of course, a very small proportion of the cars on the road, but it looks as if things are heading in the right direction. The hard part of standing on an exponential curve is: when you look backwards, it looks flat, and when you look forward, it looks vertical. And it’s very hard to calibrate how much you are moving because it always looks the same. At least it does look exponential, though.